Home » VESTAL CLARET - Bloodbath (2013) CD SIGNED BY THE BAND!!! Most of you have probably already heard this stuff on the vinyl version released in 2011 by Cyclopean Records. 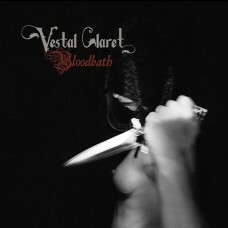 Vinyl contains a "Bloodbath's" guest-version, but here you are dealing with a "Bloodbath's" band-version. It's over 70 minutes of classic heavy doom metal. Meet the Beast himself! THIS COPY IS SIGNED BY THE BAND'S MEMBERS (in the inlay)!! !